International speaker, productivity expert and bestselling author Brian Tracy provides simple steps to use to figure out when you will be most productive for a specific task and when you should move on to the next item on your list. Outlining a framework for optimal productivity, Tracy explains why tackling the right project at the right time is of the utmost importance. Tracy’s method involves identifying the ten different "times" in which we operate, and the unique approach required for each of these in order to perform at our very best. 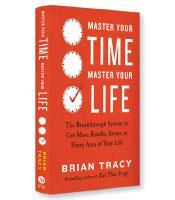 Success guru Brian Tracy’s new book is centered on the concept of time. Although each chapter has the word “time” in it, Master Your Time, Master Your Life is not about time management as much as it is about life goals and on what areas to focus your efforts. Where am I now in my life? Review your accomplishments, family situation, financial situation, and health and fitness. How did I get to where I am today? Identify the choices and decisions that led to where you are today. Recognize the sources of your successes — and setbacks. Where do I want to go in the future? Imagine a perfect life five years in the future. Get into the details of how it would be different from the present. How can I get from where I am to where I want to be? Identify what you need to be doing today to make that ideal future become a reality. 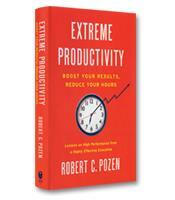 Some of the chapters, such as “Productive Time” and “Work Time,” involve more conventional time management suggestions. In the “Work Time” chapter, Tracy dives into how to overcome the “seven major time wasters” at work (telephone, email and text interruptions; unexpected visitors; meetings; fire fighting; procrastination; socializing and idle conversations; and indecision and delay). Clarity. Tracy’s focus here is on a clear understanding of expected results — the production part of productivity. Exactly what will make people see you as dependable and valuable? Focus. Productivity depends on a single-minded focus on the task at hand. Multitasking productivity, writes Tracy, is a myth. Concentration. Being able to concentrate for extended periods of time is a difficult but vital skill, he writes. While the work and productivity chapters might fit into the traditional concept of time management, the “Income Improvement Time” chapter emphasizes what to focus on rather than how to use time effectively. At the heart of this chapter is the concept of You, Inc. People must think of themselves as independent businesses, whether or not they work for others. Earning ability, which, Tracy writes, “is the total accumulation of all your knowledge, skills, experience, study, hard work and results you have acquired,” represents the assets of the business. As with any business’s assets, your earning ability may be appreciating or depreciating. It is up to you, Tracy argues, to ensure the appreciation of your assets by, for example, revamping any skills that have become obsolete. All of Tracy’s chapters end with three action exercises. For the income improvement chapters, Tracy recommends 1) identifying the one skill that, more than any other skill, would make you more valuable; 2) no matter how long it takes, create a plan to master this skill, and implement this plan with single-minded focus; and 3) set aside a minimum of 10 hours per week to learn, study and develop this most important skill. Other chapters in Master Your Time, Master Your Lifecover other lifestyle and success topics, such as Creative Time, Problem-Solving Time, People and Family Time and Spare Time. Each chapter is filled with Tracy’s signature straightforward advice and techniques. Tracy is a master at framing his success advice; this latest entry effectively uses, to paraphrase Franklin, the raw material of life: time.